G.A. 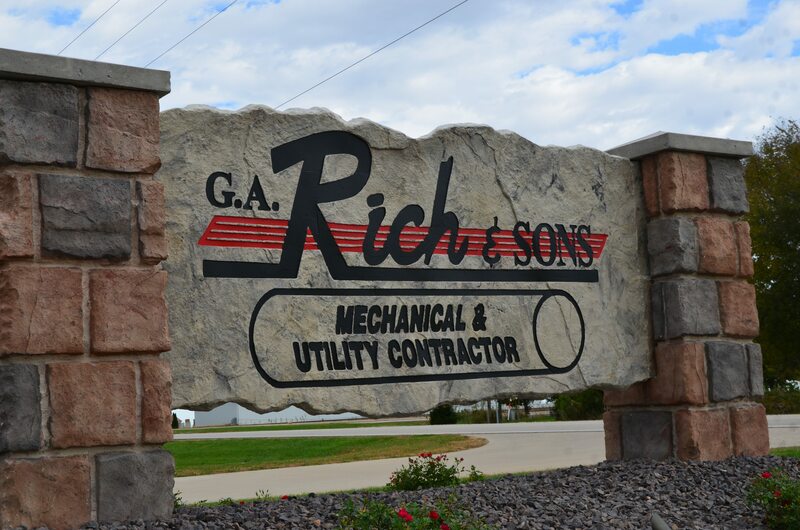 Rich & Sons, Inc. is a multifaceted, multigenerational company located in Deer Creek, Illinois. We are a mechanical and utility contractor that is proud to bring family values to the construction industry. Our experience spans a wide range of services from commercial plumbing and water and wastewater treatment facilities to water, sanitary & storm sewer mains in addition to hydro excavation, hot taps, line stops and design build capabilities. See our Services for a brief description of what G.A. Rich & Sons, Inc. has to offer and how we can help you with your construction needs. The mission of G.A. Rich & Sons, Inc. is to provide mechanical and utility contracting services, by doing our best AND THEN SOME. Operating our business in a manner in which Ethics, Customer Service, Employee & Employer Relationships, and Profitability abound in one accord. Our goal is to be an “AND THEN SOME” company, simply by doing and being more than is required.